Enameled Giotto renaissance crucifix pendant. Weight of medal: 1.8 Grams. All Christian necklaces comes with a genuine plated chain in a deluxe velour gift box. 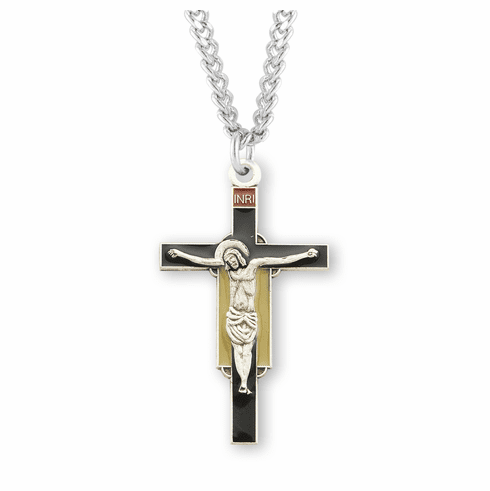 All medals, crucifixes and crosses are Hand polished and engraved by New England Silversmiths. Made in the USA by HMH Religious.